Will Cheap Chinese VR Be Tomorrow’s VR Industry? 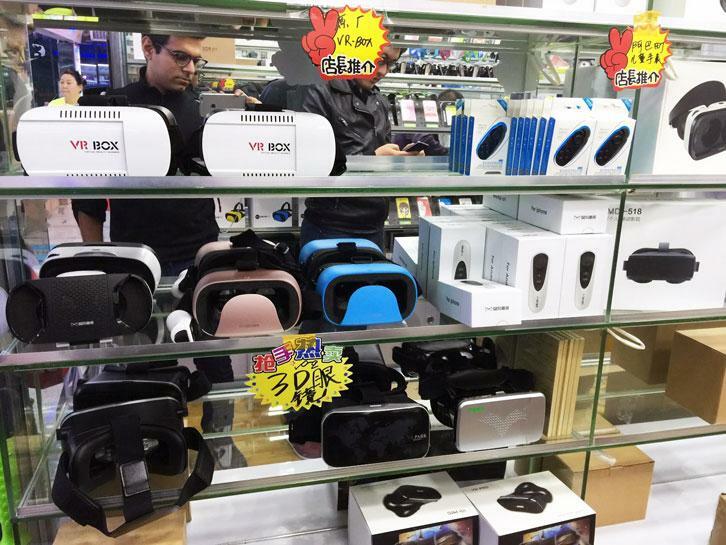 Rate this Article Now that various huge companies in China are setting their sights on the VR industry, this begets the question: Will cheap Chinese VR be tomorrow’s VR industry? Since the country of the sleeping dragon initiated its push for global industrialization since the 1980’s, China has been the base of low cost mass production which the western world gladly supported and exploited. One fine example of this is the proliferation of its smartphone industry. Large western companies deemed it more profitable to invest in very low cost- high volume producing operations to boost profits which at times ran at opposing angles to their own overall national economy. The needs of the few very rich came before the needs of the many which is typical and the norm in many western capitalist economies. Guess what, China isn’t stupid. The Chinese have always been great at taking an existing product and making it a lot more affordable via mass exporting, so middle income people like us could afford items that are previously labelled as "luxury goods". One fine example of this is the smartphone. In fact, commodities such as household items (soap, toothpaste, etc. ), electronic brands (TV, Radio, Cellphones and computing devices) to appliances and others have been deployed successfully by China all over the globe. China (whether the west admits it or not) has captured the Global Market. Open up any current day electronic device even that of a western brand and chances are, there’s a made in China component inside. You know what? Probably almost all of it is made in China from the inside. Of course we are talking about VR and the future of the industry and judging by the observation above, it’s no rocket science to figure out where the equipment for VR will be coming from in the very near future, esepcially considering that various huge companies in China are setting their sights on the VR industry. In fact, this begets the question: Will cheap Chinese VR be tomorrow’s VR industry? Currently, China doesn’t have the core technology that drives Virtual Reality (yet) but ah…it has the numbers. It can manufacture VR devices en masse that current western industry can only dream of. It’s just the matter of acquiring the technology which combined with the very low production cost and resulting market price per unit, which when deployed in the global market will outrun the very products that started the VR industry in the west. China currently receives huge funding for production and Research and Development as well. There are over 200 start-up Chinese VR companies working on the technology right now according to Beijing-based IQiyi.com. Also, according to London consultancy Preqin Ltd., venture-capital investments in China surged about 50 percent to $12.2 billion in the first quarter of the year alone. The three web giant companies of China, namely Baidu Inc., Alibaba Group Holding Ltd. and Tencent Holdings Ltd. have gotten together to build up the countries massive VR industry by positioning themselves as middlemen and seeding dozens of startups. They also made accessible their platforms to developers of content and hardware while waiting for a dominant headset to emerge. As of now, the focus is on platform and content while the industry continues with research and acquisition of the core VR technologies they need. The domestic market however is expected to grow by 36 times in the next four years to 55 billion Yuan ($8.5 billion) from 1.5 billion Yuan last year. These 3 companies have a combined market capital which is larger than Israel’s gross domestic product, and they serve 688 million Internet users in China alone. However, there is still no current major VR content provider in the country thus giving local content providers, service providers and game publishers the opportunity to exercise their influence on the development of the country’s VR industry. An estimated 6.3 million VR headsets will be shipped worldwide this year, and around 40% of these will be deployed in China’s domestic market. The most promising application would be on online video where around 504 million Chinese are immersed in streaming sites and online game play. 3D movies and 360 degree videos are expected to be the first VR industry applications to hit maturity. Currently, IQiyi.com is working with around 300 partners on VR content and hardware. It’s popular streaming app offers breathtaking VR videos like whitewater rafting, dancing, jet fighters in flight to name a few. The company plans to build the world’s largest Chinese-language VR service and a new key app suite that makes its movie and game contents compatible with any head-mounted device. The company is also delving into streaming live concerts and producing VR films and TV shows that could become more like games in the future, with storylines changing based on user preferences. Even Alibaba, China’s biggest e-commerce company, is developing VR-related shopping experiences for its 400 million users. Hardware-wise, most current Chinese headsets are made of solid plastic and have simple optics. These are the “better than” Google Cardboard types that apply the same concept, VR driven by smart phone. Prices range from around 20$ to 130$ depending on the quality. It should also be noted that China made smart phones that compete with or directly imitate the high end models like the Galaxy S6 have proliferated as cheap alternatives for the VR end of these headsets. Most of them can be purchased online and in particular retail outlets all over the world. China’s VR Box is a popular example of this. Likewise, Oculus and HTC Vive like headsets which need to be tethered to a high end PC can be purchased at around 200$ to 300$ cheaper that the 2 major western brands. Examples are the AntVR and the DK2 headsets. Let's not forget that the Chinese have also come up with a pretty novel and, best yet, a working prototype of an all-in-one VR headset that require no tethers or smartphones to power it, called IdeaLens K2. 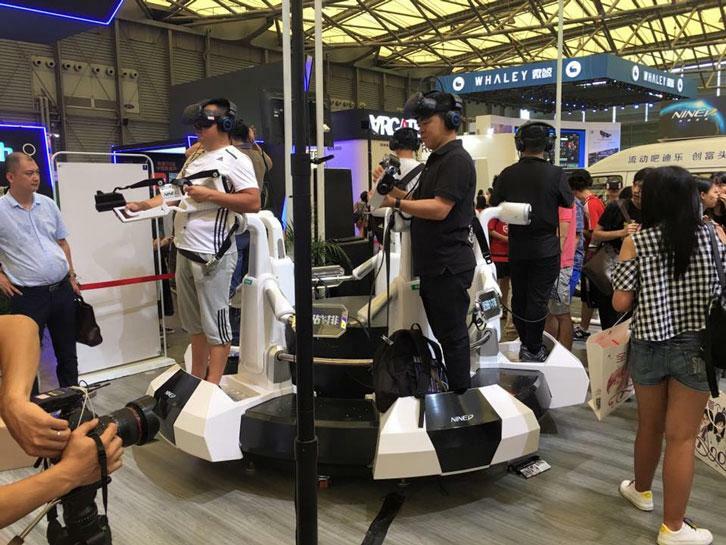 Not to mention, during our excursion to ChinaJoy 2016, one of the largest games expo in Asia, let alone in China, there are tons of VR companies peddling their wares. From Tron-looking VR headsets to incredible (and massive) VR machines where players would probably be able to play in the future in VR arcades, the future of China's VR industry is looking amazingly bright, that's for sure! All of these VR products coming out in China and being deployed and adopted by the global VR market will already give one an indication of the massive consumer based production and supply range China is capable of. The future of VR technology may be held by the west, but the cheap VR hardware market price and compatible content would probably be taken over by the burgeoning Chinese VR industry and be labeled Made in China.